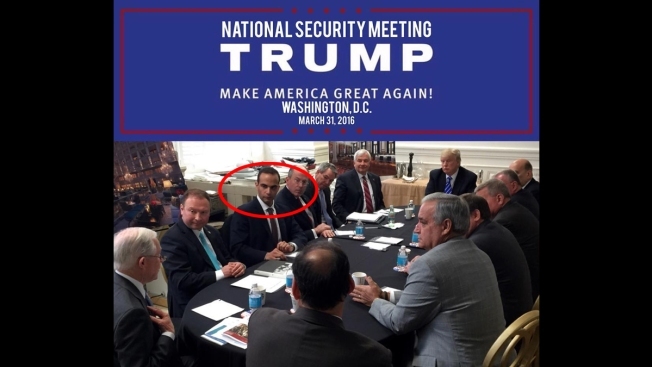 The conclusion of the sentencing memorandum notes that this is "just a small part of a large scale investigation"
A March 31, 2016, photo posted to Instagram shows then-presidential candidate Donald Trump at a meeting with his national security team in Washington, D.C. Highlighted is George Papadopoulos, who, in pleading guilty to lying to FBI agents, acknowledged saying at the meeting that he could help arrange a meeting between Trump and Vladimir Putin. President Donald Trump "nodded with approval" at the suggestion of a meeting with Russian President Vladimir Putin, according to a court filing that seeks leniency for a former campaign aide who lied to the FBI. 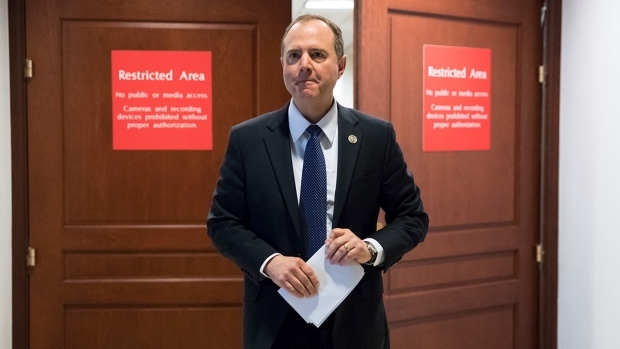 A redacted, declassified memo released by Democrats on the House intelligence committee Saturday aims to counter a narrative that Republicans on the committee have pushed for months — that the FBI and Justice Department conspired against President Donald Trump during his presidential campaign, abusing a secret surveillance process to spy on one of his operatives in its Russia investigation. Checkey Beckford reports. The inclusion of that detail seems intended to show that Papadopoulos provided investigators with valuable insight, even though prosecutors have said in their own sentencing memo that he did not provide "substantial assistance to them." 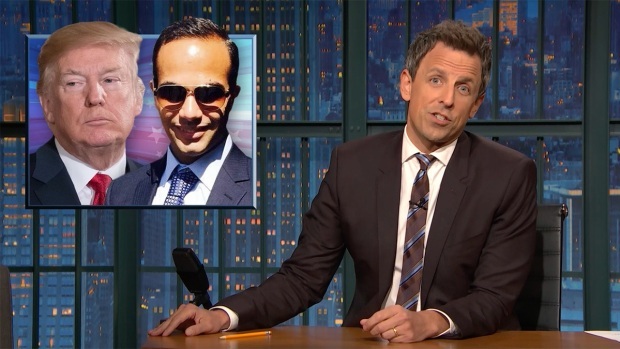 Seth Meyers takes a closer look at former Trump advisor, George Papadopoulos following revelations that he pleaded guilty to lying to the FBI about meetings he had with a professor who had close ties to the Russian government. "George Papadopoulos is now a convicted felon," the lawyers wrote. "When it came to make a good decision he made a bad one. His arrest and prosecution served as notice to all involved that this was a serious investigation. He was the first domino, and many have fallen in behind. Despite the gravity of his offense, it is important to remember what Special Counsel said at George's plea of guilty: he was just a small part of a large-scale investigation."